Even on the coldest days, Sindy loves to get outside and breathe in the fresh, fresh air. 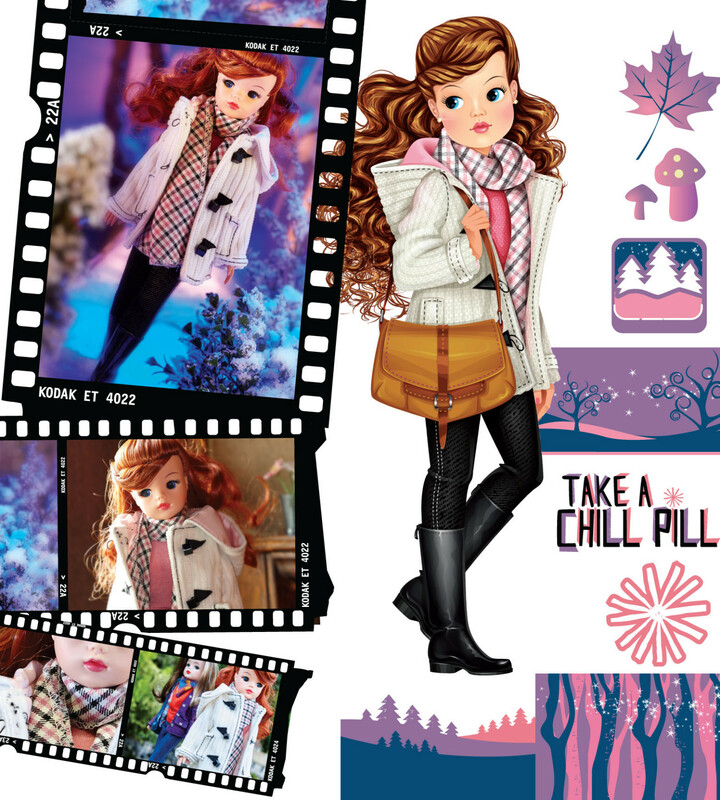 And of course, Sindy dresses for those chilly days in style with a white woollen duffel coat and a chunky checked scarf. Frosty mornings are her favourite as everything sparkles—it’s like everything is covered in glitter. Sindy’s wild auburn curls match her feisty and fun personality. No matter how cold the weather, this girl warms the mood wherever she goes. And after a day out walking over frozen fields, Sindy and her pals like to thaw out with mugs of cosy hot chocolate topped with whipped cream and a dusting of cinnamon. Delish!